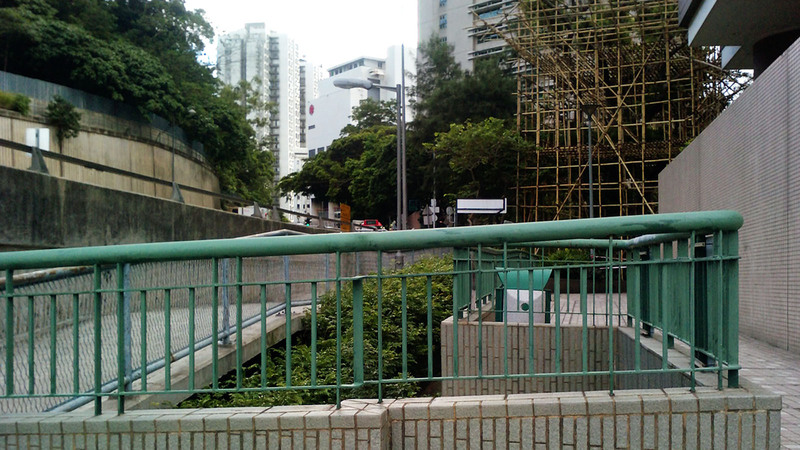 Shot near the University of Hong Kong, this scaffolding was probably erected for work such as pruning to be done on the tree. 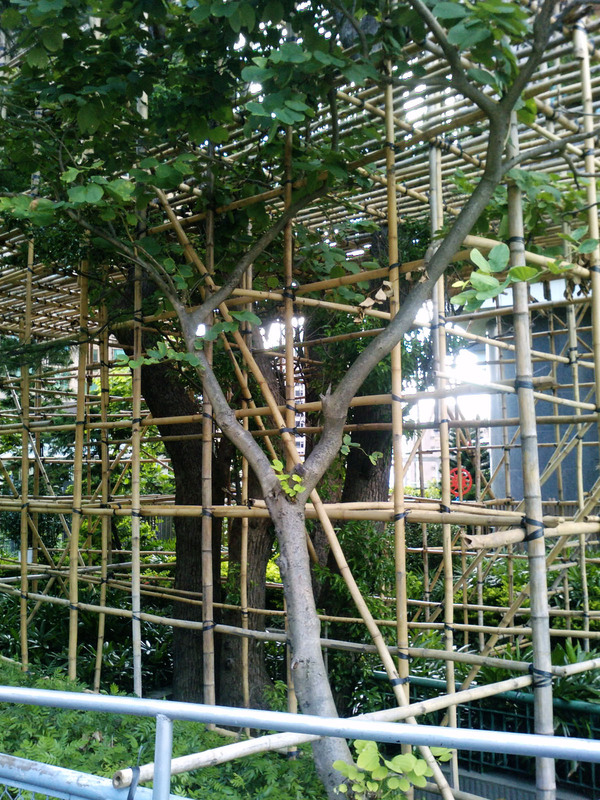 The cage like structure encapsulates the tree but also leaves space for a working platform midway up and at the crown. 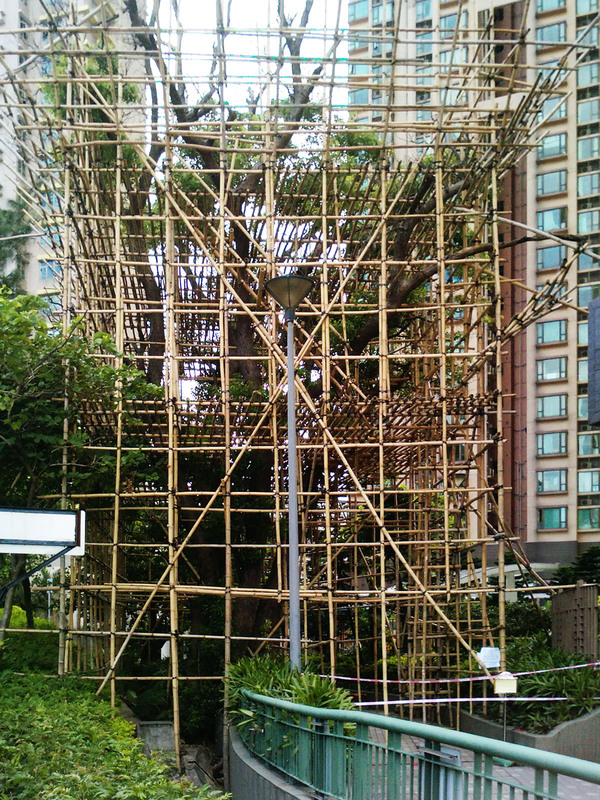 Unlike a conventional structure, the temporary installment of the bamboo scaffolding does not require foundations and so does not affect the roots of the tree. 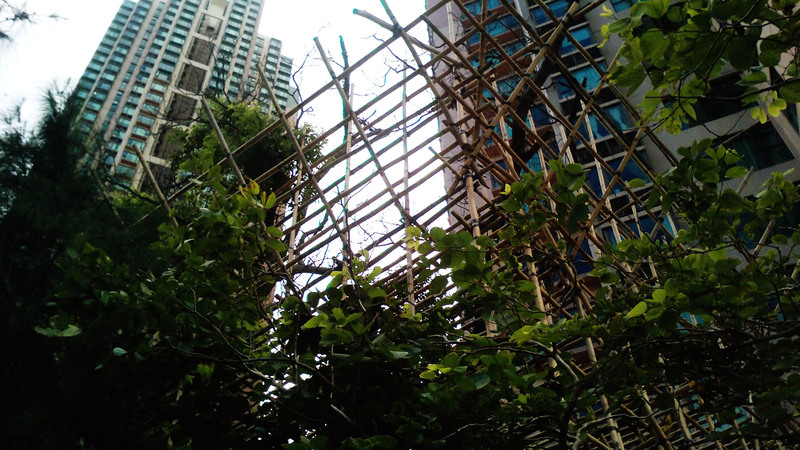 In fact, the structure could be adapted as the tree grows to allow interaction with its organic growth. Below is a shot of the tree from a further distance. It sits near a large housing estate and faces a busy roadway.